We’ll be at Phoenix Comicon May 28th-31st, 2015 at the Phoenix Convention Center! Our Table # for the event is 14120! 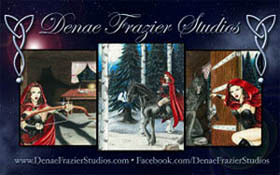 We will be selling Denae’s Comics, Prints, AP Sketch Art Cards and Original Art Pieces! For the Exhibitors/Artists Map, Click here: http://www.phoenixcomicon.com/page/46! We look forward to seeing all of you there! So, make sure you stop by our table and say “Hi”! This entry was posted in appearances, art, events, news and tagged Art Prints, Comics, Original Art, Phoenix Comicon, Phoenix Convention Center, Sketch Art Cards. Bookmark the permalink. Trackbacks are closed, but you can post a comment.